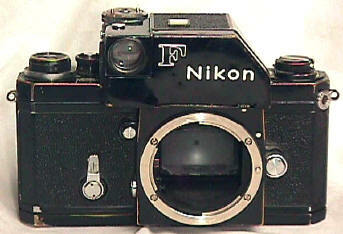 This black Nikon F '64 body is a bit deceptive. 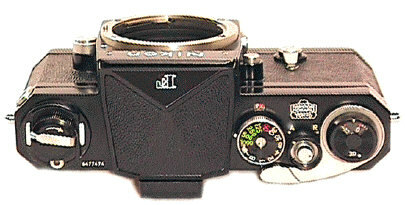 Strangely enough, it is one of the rarest Nikons. What's the big deal? 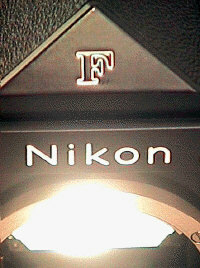 For reasons unknown, extremely few Black Nikon F's were made in the 64 serial block. 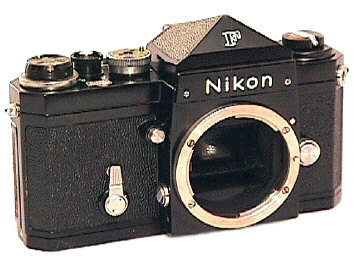 My guess is the Nikon F so far outstripped sales expectations that astonished Nippon Kogaku executives were scrambling just to keep up with orders. No published estimate of Black 64 F production exists that I have been able to find. However, I would be very surprised if it's more than 1000. The earliest Black F? I'm not sure, but the earliest I've seen is 6400675. 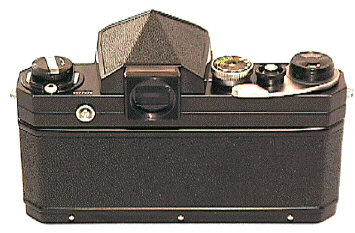 Notice the angular body shape of the F. The later F2 and F3 had rounded bodies. 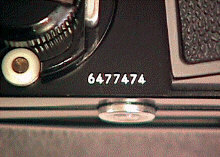 Also note the Nippon Kogaku engravings, which disappeared during the 67xxxxx serial number block. 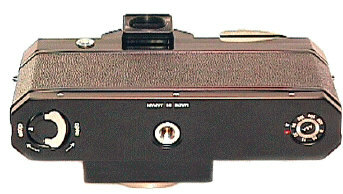 ANY black original Photomic finder is rare. 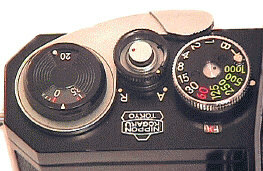 Shown above is a Black Photomic Finder, Type 2 -- the push button variety.